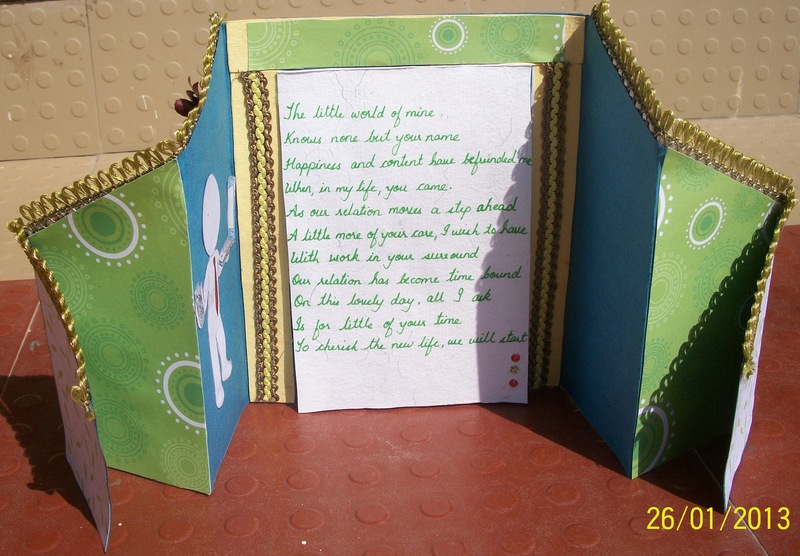 Just at a time when office work takes a heavy toll, crafting seems to be miles away!!! :) All's well that ends well. So now with codes done and delivered, I could breathe and get my hands on crafting. 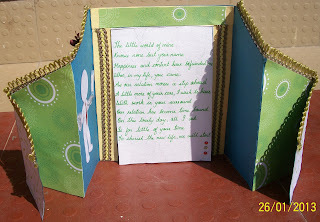 Here is a card that was made for a wife to gift her husband. The wife being a very good friend of mine. She insisted on putting this zuzu to portray to him how she feels. 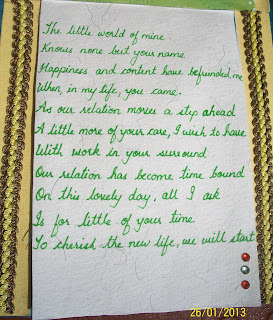 Here is a closer look at the poem. 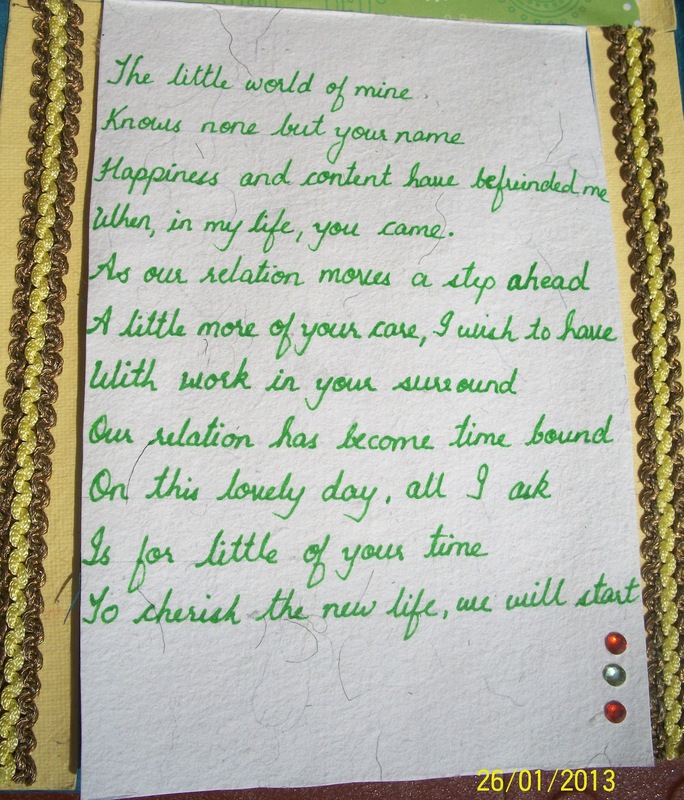 Hope you liked the card as well the poem. Do leave back your comments. 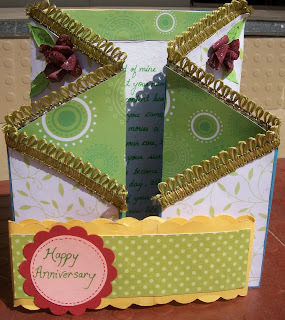 Hi - I love the folds on this cards. They look so stunning. Lovely flowers and a fun image too! 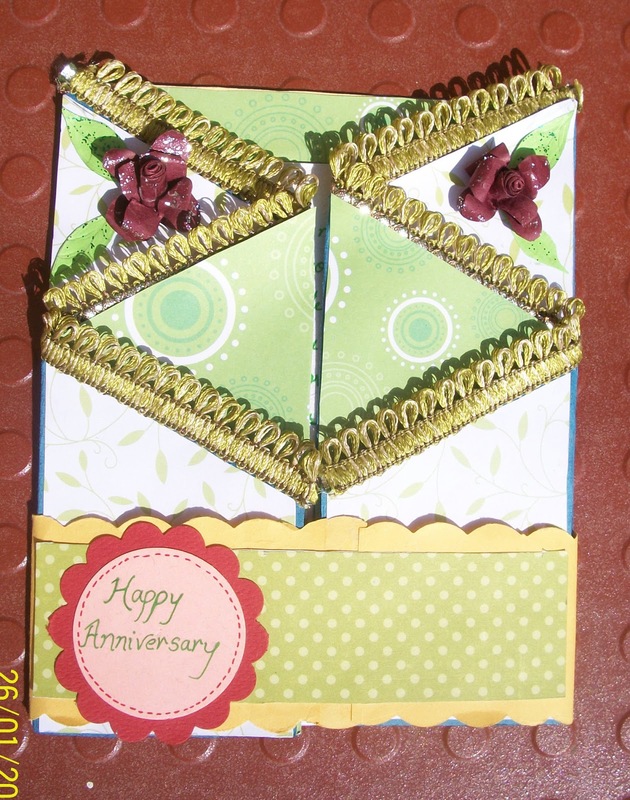 Thanks for sharing your "Fancy Folds" at Lexi's Creations this time. Very thoughtful card ! Loved the zig-zag fold . 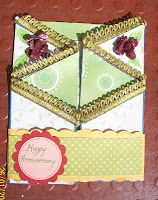 Thanks for dropping by and commenting on my blog ! Thank u so much Priya... I could not view any link tool at the bottom of the post. Hence pasted my link in the comments. Wow..this is pretty beautiful. I love this.